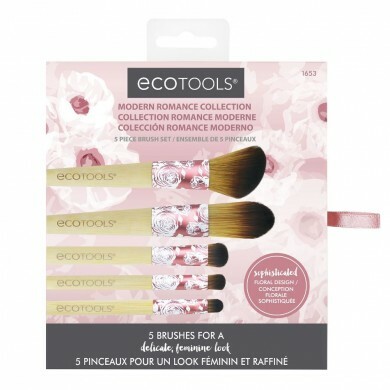 Ecotools Modern Romance Collection is the 4th Edition of our Collector's Brush Set. 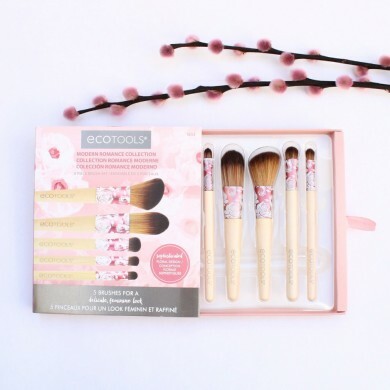 This exclusive design was inspired by romantic prints and colors and has all of the tools for a soft, romantic look! 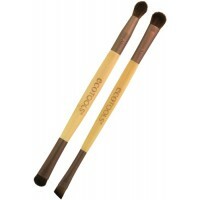 ACCENT: Add more color to lids with the Petite Eye Shading brush. Apply a shimmering color to middle of lid to create an extra highlighted look, or add a bolder color to crease of lids for more depth. 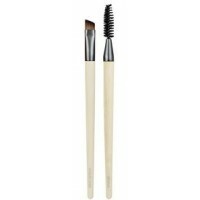 SHADE: Add soft eye definition with the Full Shadow brush. 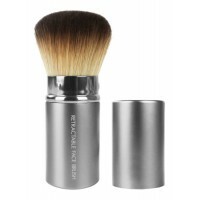 Apply base color all over lid and also use to highlight brow bone. 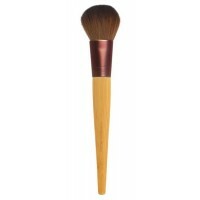 GLOW: Add a soft glow to your romantic look with the Angled Blush brush. Apply in an oval shape at top of cheekbones. EVEN: Create a flawless complexion with the Flat Foundation brush. Apply starting in the middle of your face, working outwards toward the hairline. POUT: Create a soft lip with the Detail Lip brush. 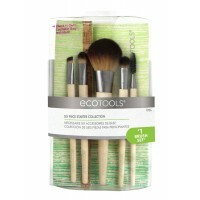 Dab brush into favorite product, lightly line and fill lips for precise definition.